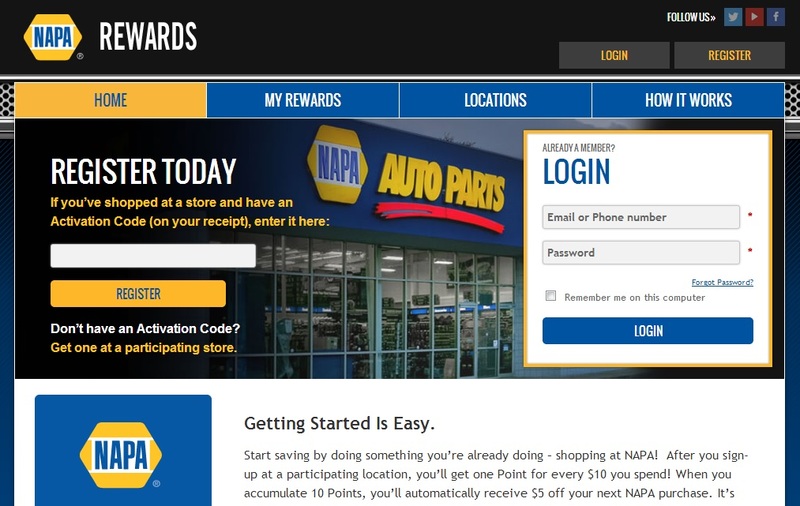 NAPA Auto Parts has launched the most competitive rewards program in the auto parts business this week at its Tampa, Florida, locations. 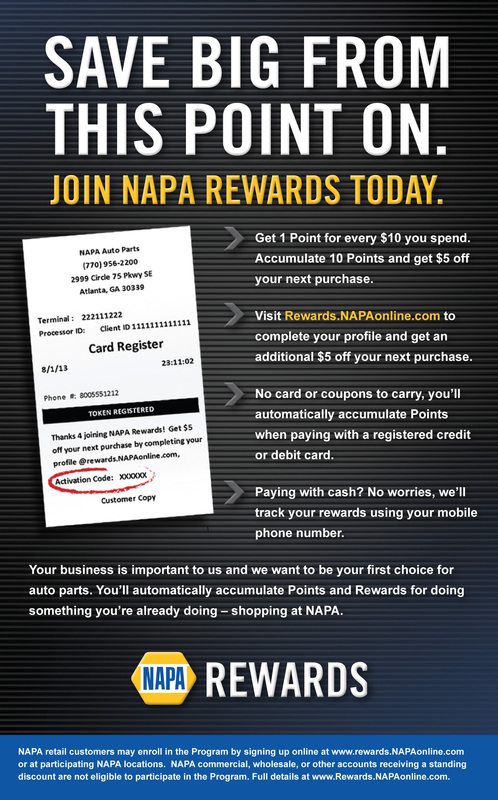 NAPA Rewards is straightforward and easy for customers – just sign up and accumulate points toward cash discounts automatically. Customers at eight Tampa retail stores will get the first opportunity to join NAPA Rewards as the program begins testing this week. NAPA hopes to roll the program out in other markets over the next year. NAPA Tampa district manager Al Graese said he’s excited to be part of the initial launch. Here’s how it works. To sign up, just provide your mobile phone number when you make a purchase. You’ll get one point for every $10 you spend. 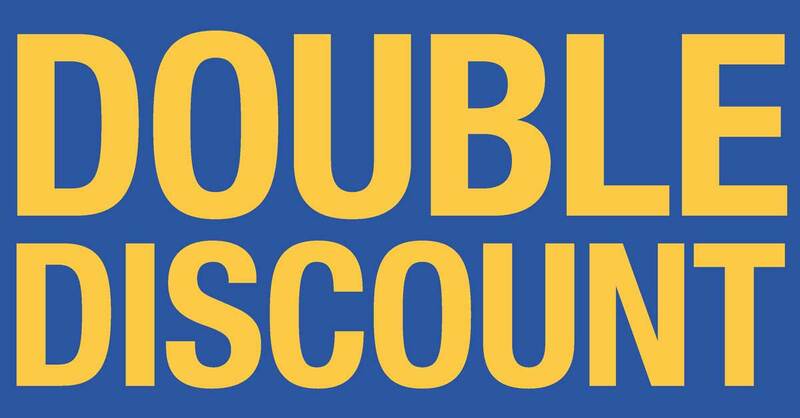 Accumulate 10 points and you automatically receive $5 off your next purchase. There’s no card or coupons to keep track of. Instead, the program uses patented, secure digital technology to keep track of your rewards. NAPA Rewards does it for you, so you enjoy the benefits without the inconvenience of missed rewards or unredeemed discounts. Be sure to sign up early. The first 150 customers to sign up at each Tampa store will receive a free NAPA Racing cap. 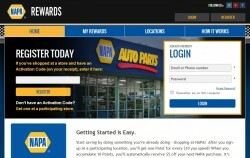 New NAPA Rewards members can also get a $5 bonus reward by registering their account online after signing up in the store. A list of Tampa stores now participating in NAPA Rewards is below. Colleen Romero, director of digital marketing for NAPA, explained that the program was designed to demonstrate NAPA’s commitment to retail customers while avoiding the drawbacks of competitors’ programs. 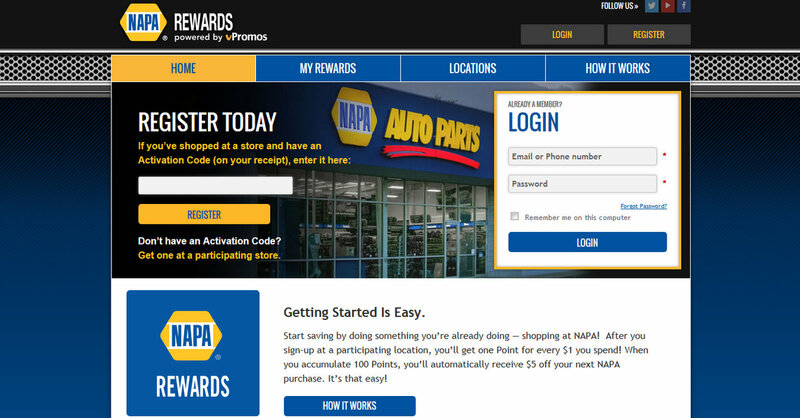 Visit one of the Tampa area stores, sign up for NAPA Rewards and start earning discounts immediately. Capps Seeks NHRA U.S. Nationals Title at "The Big Go"